Enjoy and afternoon sail on our private catamaran sailing out to a nice white sand beach where our crew will anchor the boat so you can enjoy some time in the warm waters of the pacific ocean playing around with tropical fish and trying out some kayaking or stand up paddles. 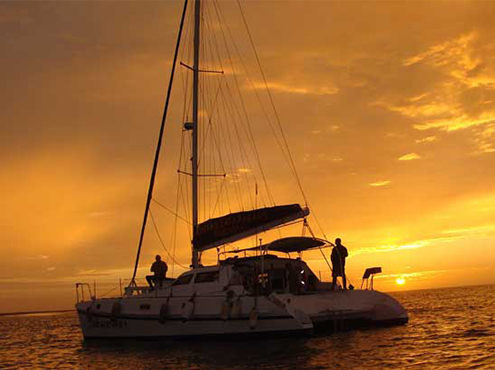 After leaving the cove you will get to sail back to the main land while you can witness the spectacular sunset over the Pacific Ocean. Recommended for families, couples and private parties.